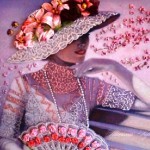 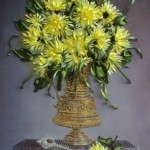 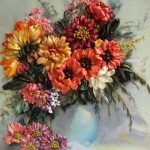 Born February 1, 1961 in Kiev, Tetiana Korobeinyk is a talented Ukrainian self-taught artist of applied art. 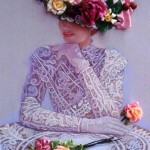 She is currently living in Puglia, Foggia, Italy. 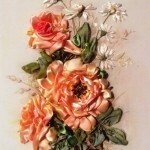 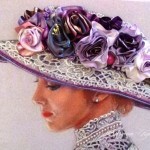 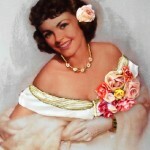 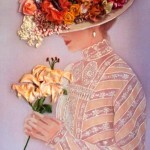 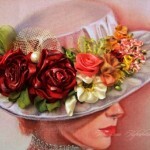 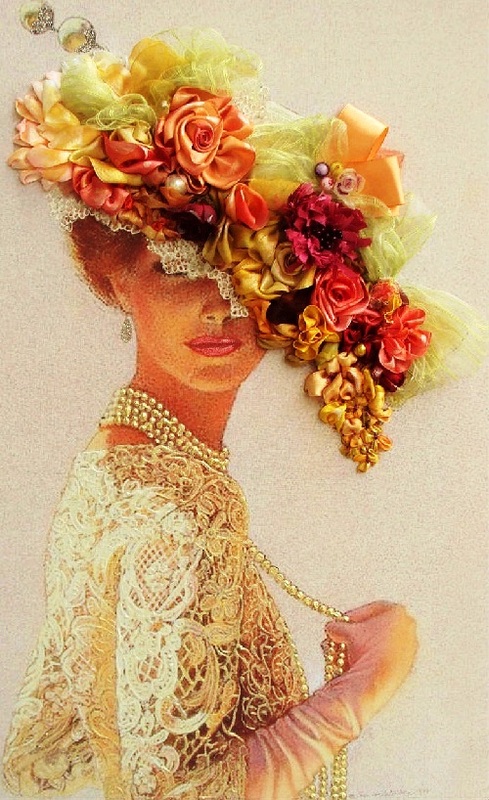 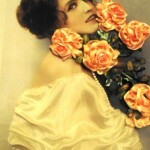 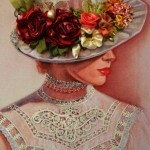 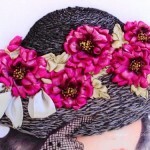 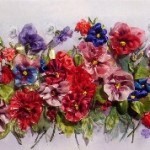 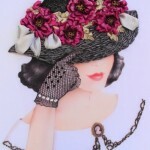 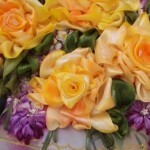 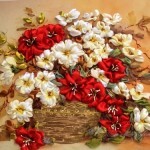 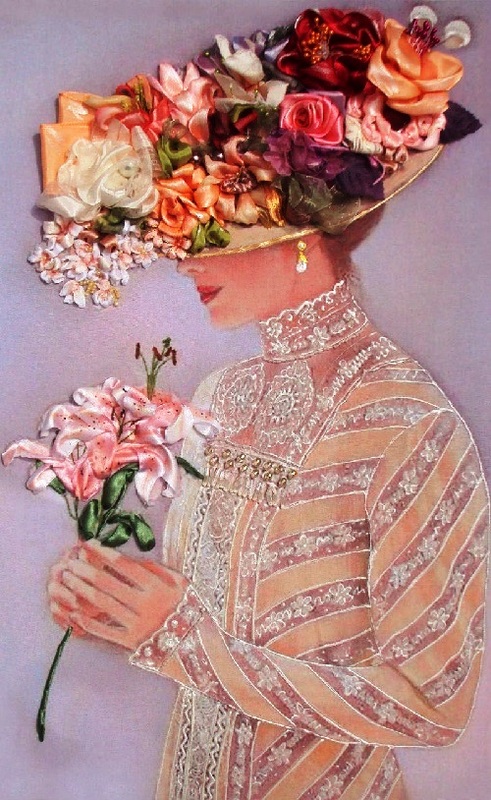 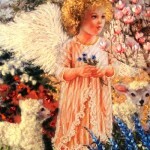 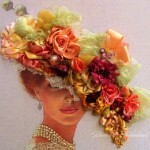 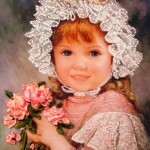 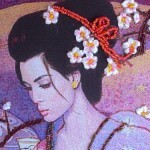 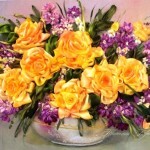 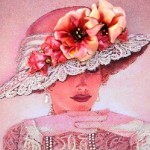 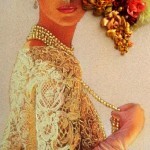 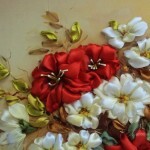 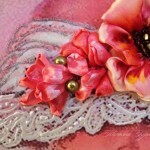 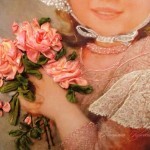 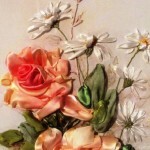 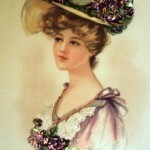 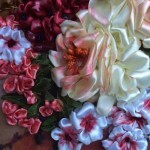 According to the artist, her main passion is embroidering with ribbons, or ribbon painting. 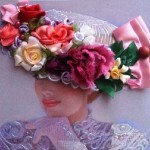 Meanwhile, she has achieved a high level of skill in it. 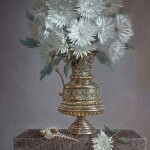 Besides, Tetiana Korobeinyk is very interested in everything connected with this technique, and likes mixing technologies. 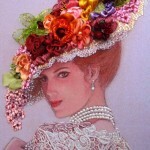 A recognized master embroiderer, Tetiana Korobeinyk has more than 10 years of experience in this field of art. 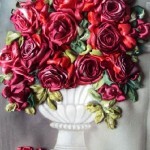 A vase of red roses.